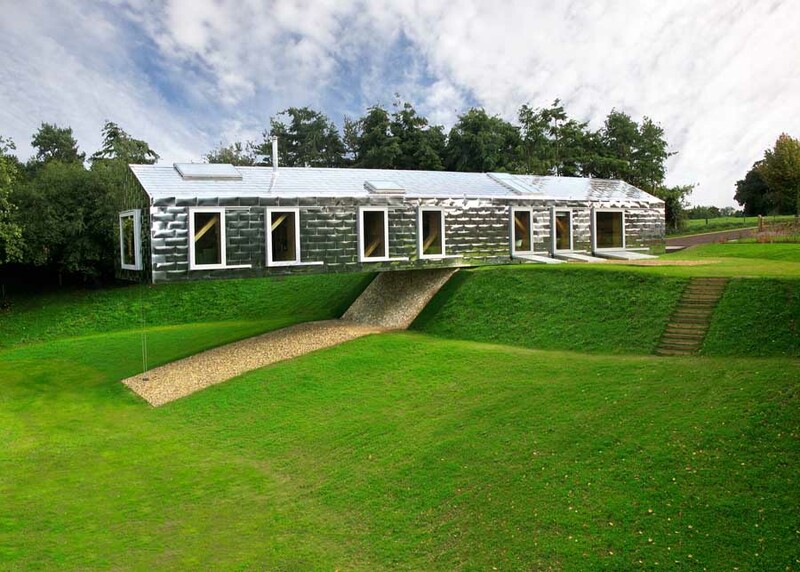 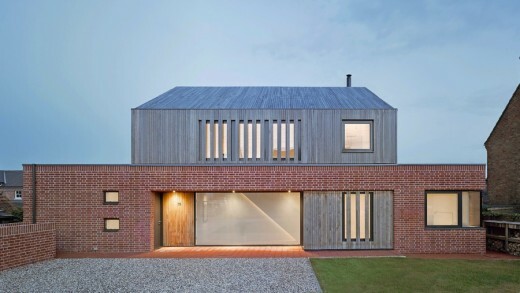 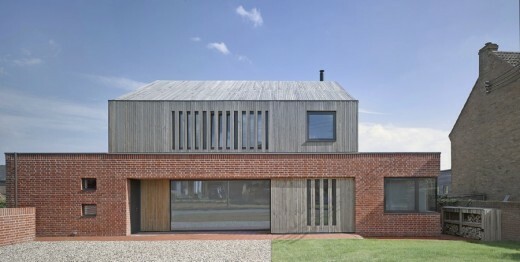 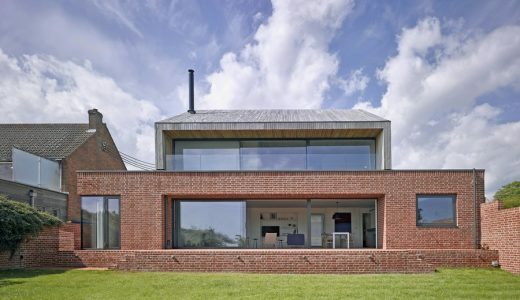 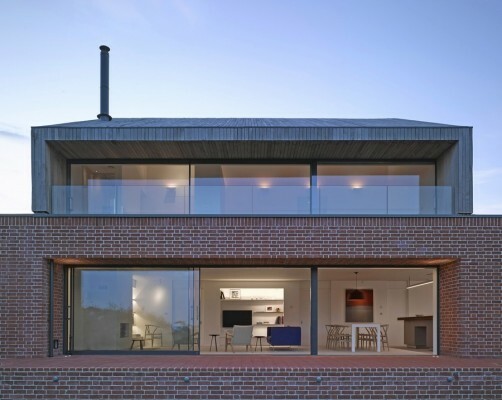 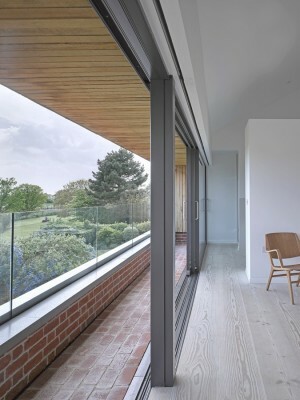 Broad Street House is new build home in Suffolk by Nash Baker Architects. 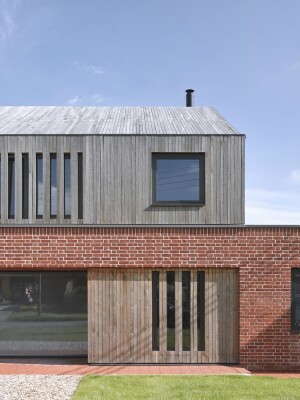 The house utilises a palette of natural and traditional materials to blend with the rural street scene, and the exterior uses oak cladding and handmade bricks (both locally sourced) to blend with the architectural character of the village. 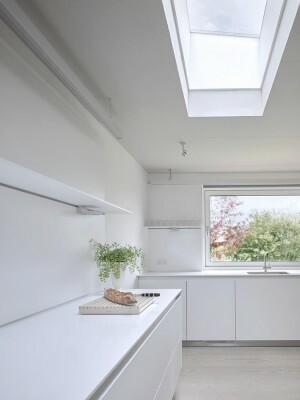 Internally, the house has a muted decorative scheme with exposed concrete ceilings complemented by a floor of whitewashed Douglas fir planks and fitted joinery made with lacquered birch faced plywood. 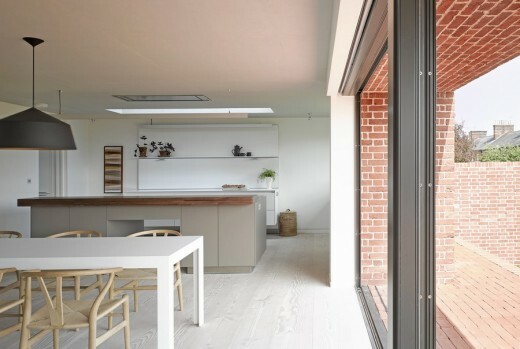 Studio and office rooms occupy the left side of the ground floor layout, mirrored on the right of the rear reception room by an open plan kitchen area defined by a parallel wooden dining surface in walnut with expressed dovetail joints. 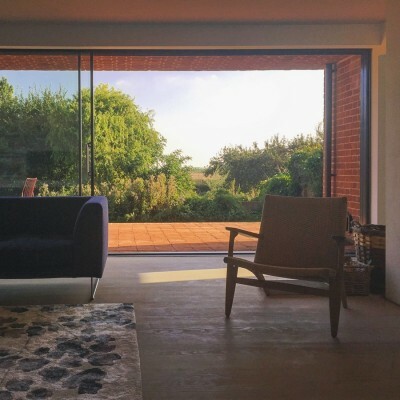 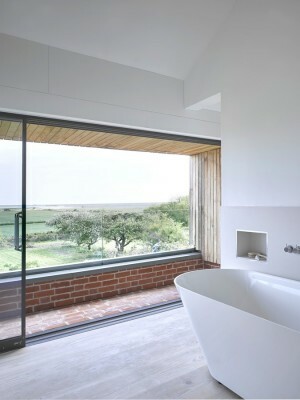 The reception room opens out onto a red brick terrace and garden through a series of glazed sliding doors, mirrored on the upper storey where corresponding doors on the master bedroom and en-suite bathroom open out onto a covered terrace sheltered by the oak clad roof that gives spectacular views of the Orford Ness marshes and the Suffolk coast.